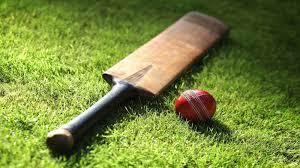 The Finals of the 2019 Massy United Insurance Schools Cricket Tournament will be contested between St Mary’s College and Micoud Secondary as both tesms registered victories in the semi-finals of the competition played Wednesday. At the Gros Islet Playing Field, St Mary’s College defeated last year’s joint champions Sir Arthur Lewis Community College in a low scoring match by 16 runs. St Mary’s College batting first after winning the toss was dismissed for 144 in 27.1 overs with the tournament’s leading run scorer West Indies Under 15 player and team captain Ackeem Auguste top scoring with 51 which included seven fours and one six. Other useful scores for St Mary’s College came from Sherqwayne Prudent with 24, Desne Gidharry 17 and Zidane Athur 15. The main wicket takers for Sir Arthur Lewis Community College were, Craig Elisee with three for 15 , Simeon Gerson three for 30, Kyle Adonis two for 25. In reply, Sir Arthur Lewis Community College was bowled out for 128 in 40.2 overs with Chaz Cepal and Simeon Gerson top scoring with 27 each and Rashad Gaston making 13. In reply, Corinth Secondary was bowled out for 71 in 23.4 overs with Daniel Edwin making 15, the only batsman to reach double figures. Doing the damage with the ball for Micoud Secondary were, Nean Deterville three for 10, Marklin Estaphane three for 19 and Dichege Henry three for 22. The finals will be played on a date to be announced.